If you follow me on social media you may have seen my whining about my internet being broken one day last week. I'm sorry, but THINGS SHOULD JUST WORK! Also, I'm a blogger. The web is kind of important to me, right? Just be happy you didn't have to hear as much of my angst as my husband did. So what does someone who NEEDS the internet on a daily basis do when she is forced to go without? I'll tell you because I want to help you be prepared for when it happens to you. I'm super thoughtful like that. 1. Put that clean laundry away. 2. Clip and file your finger AND toe nails. 4. Take a shower during which you exfoliate, shave AND moisturize. 5. Use just a little of your smartphone data to let your social media peeps know that your internet is down. You know, so they don't worry. Because you care. 6. 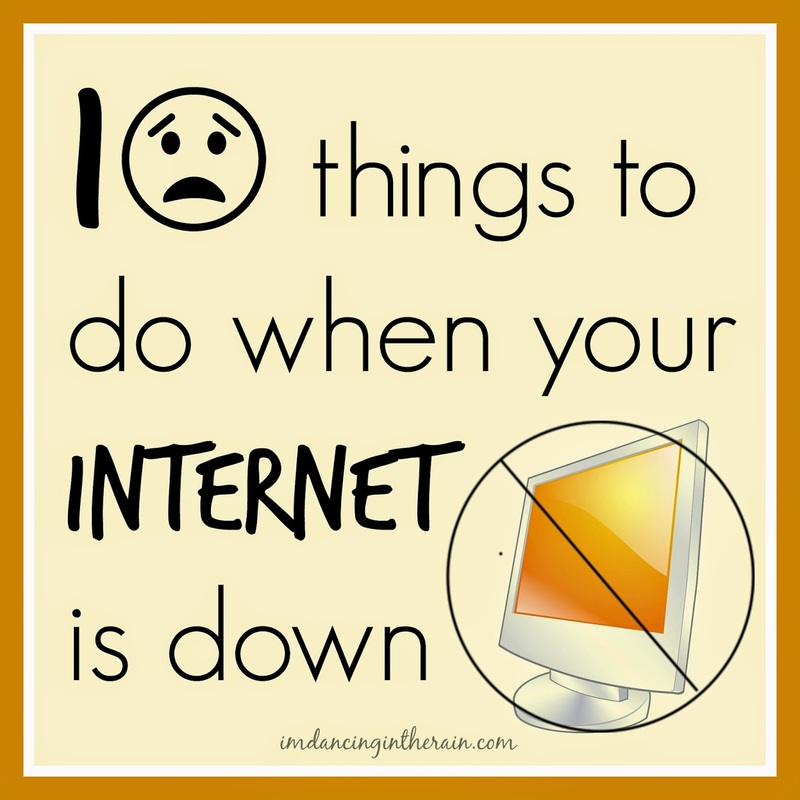 Use the blogging app on your phone to start a post about what to do when your internet is out. Justify more data usage because blogging. 7. 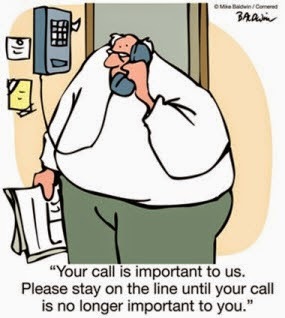 Call the internet company to make sure they're aware of your hardship. 8. Turn your modem and computer off and on repeatedly trying to make it work. 9. Go out to dinner so you can get your mind off your lack of internet access. 10. Watch Thursday Night Football with your husband because you have nothing better to do. I mean, it was out ALL DAMN DAY! Forget about lil ole me, what the heck did businesses do? 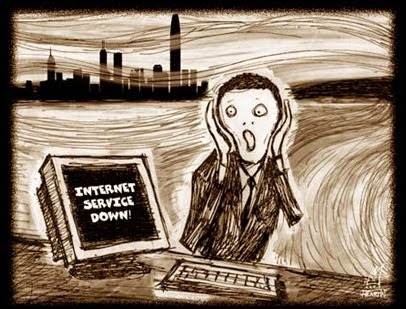 Internet outages are a serious problem. I just want you to be aware.